With just over six weeks to go before the long-awaited release of the Chilcot report into the Iraq War the calls for former Prime Minister Tony Blair to be properly held to account for the lies he told us in the lead up to the illegal invasion are increasing by the day. A few days ago, the foreign affairs spokesperson for the Scottish National Party (SNP) Alex Salmond MP, told RT’s Going Underground program that he would like to see Blair impeached by the British Parliament and also stand trial at the International Criminal Court, if the families of those killed and the wider public agreed. One the highlights of the television week in the UK is watching Saturday night repeats of the much-loved 1970s comedy show 'Dad's Army'. 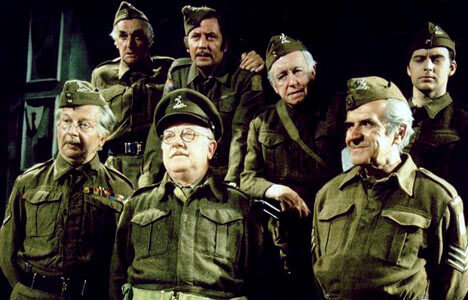 The classic sitcom - which even outperformed BBC2's much-hyped live Shakespeare "special" featuring Prince Charles - tells the story of a brave, but rather incompetent Home Guard platoon in World War Two. All the characters are quite wonderful and very-very funny, but a particular favorite of mine is the gloomy undertaker Private Frazer — who's always forecasting doom and disaster. Recently, I've been wondering if Frazer has secretly been put in charge of the Remain campaign, because some of the claims are pure Dad's Army. On Thursday, at least 13 people were killed in a ISIS attack on a café in Baghdad for the 'crime' of watching a football match. The day before at least 88 people were killed in three explosions across Baghdad; scores were injured. Yes, these events got some coverage on Western news channels, but they weren’t the main stories. The neocon war lobby, who, remember, couldn’t stop talking about Iraq in 2002/3, and telling what a terrible threat the country’s WMDs posed to us, would of course like us to forget the country all together now. They’ve told us lots of times we need to ‘move on’ from talking about the 2003 invasion and instead focus on more important things - like how we can topple a secular Syrian president who’s fighting the very same terrorists who are bombing Baghdad. My new piece for RT.com to commemorate Victory Day. My latest article for RT.com- on the double standards of UK Foreign Secretary Philip Hammond. "The Assad regime’s contempt for efforts to restore the cessation of hostilities in Syria is clear for all to see," the neocon declared in a bellicose statement. Not only did Hammond blame the Syrian government for a ’horrifying’ attack, which the government has denied (and which could have been carried out by Al-Nusra Front), he also took a swipe at ’the regime’ for - wait for it - holding a classical music concert in the ruins of Palmyra - the historic city which was liberated from ISIS by Russian and Syrian forces in March. My new Public Ownership column for the Morning Star- on the link between the Panama Papers and privatisation.